Infinitely adjustable diesel heater from wallas with a power of up to 4500 W. For comfortable temperatures on board in no time at all. € 2.099,95 Inc. tax, ex. shipping. 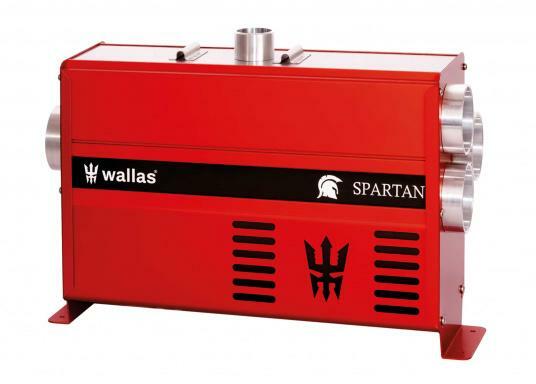 The new SPARTANAIR diesel heater from wallas has an infinitely adjustable heating power of 1400 - 4500 W, which heats up your boat faster and more economically - this saves energy and fuel! The adjustable speed fan ensures optimum performance and a low noise level at all times, while at the same time only producing low surface temperatures on the unit. The integrated Greenboost burner delivers even more efficient and cleaner fuel combustion than previous models. 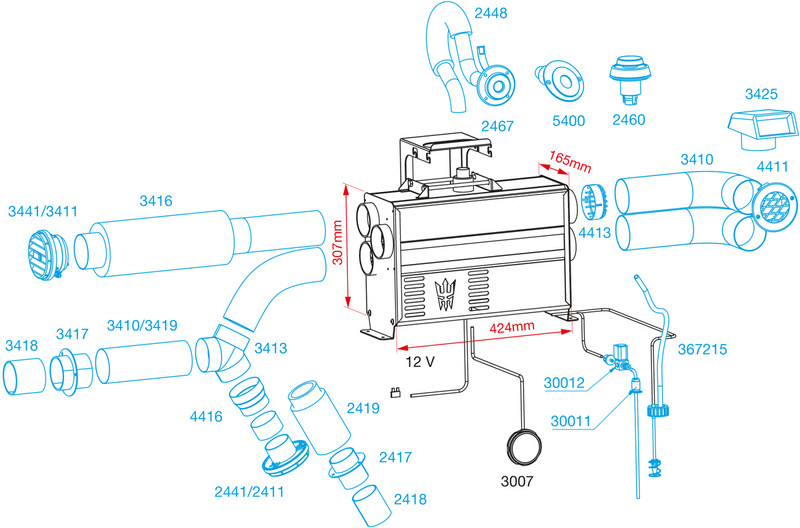 Heating can be easily controlled using the new control panel supplied. The SPARTANAIR unit can also be controlled via Bluetooth or WiFi from a smartphone.